Over the last few weeks, I have been dehydrating a ton of fresh herbs from my backyard garden. Growing fresh herbs is fairly easy but they don’t last long once you pick them. That means I spend a lot of time drying them during the summer. I decided to make homemade Italian seasoning this week with a few of the fresh herbs that I have grown. I have so much oregano, basil, and rosemary that I don’t know what I am going to do with it all. 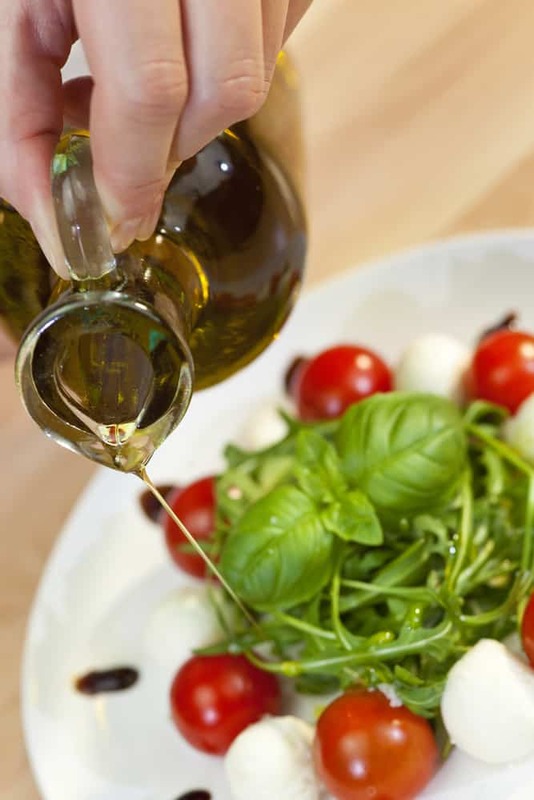 Many classic Italian recipes often call for ‘Italian Seasoning Blend’. Which, of course, I would then have to go out and buy. I realized I had most of the ingredients in my pantry already so I decided to save some money and make it from scratch. 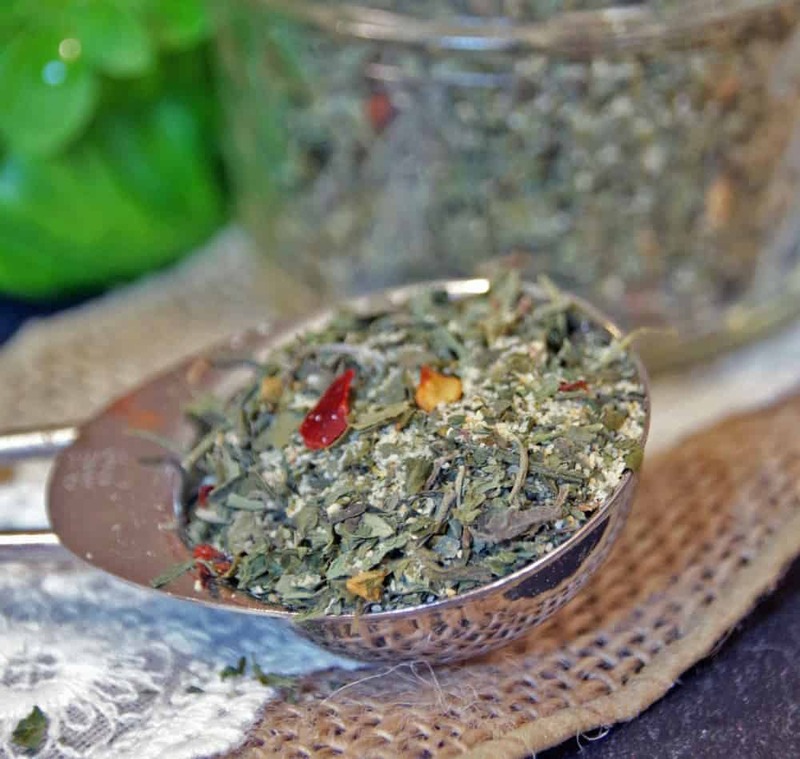 If you have a ton of fresh herbs, consider making this DIY Italian Seasoning! Don’t have any fresh Italian herbs? Learn how to grow your own herb garden! Get a dehydrator. And don’t skimp and get a super cheap one. You will be using it a LOT. A large drying capacity is helpful. 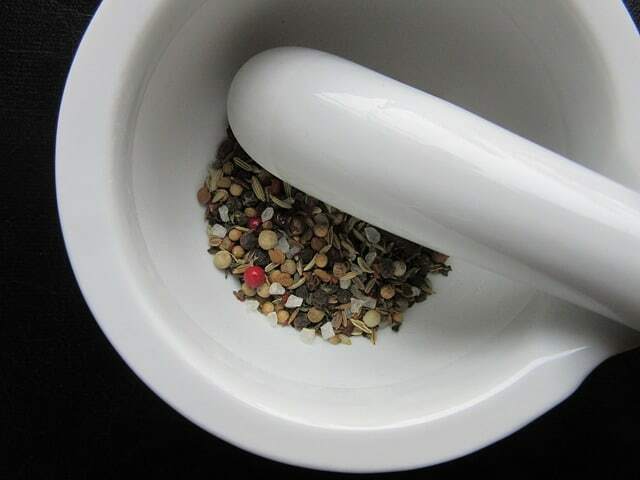 A mortar and pestle or herb grinder are very helpful if you want to process the herbs more finely. Glass spice jars make storage easier. Check out this video from Planet Natural Garden Supply on how to dry herbs. 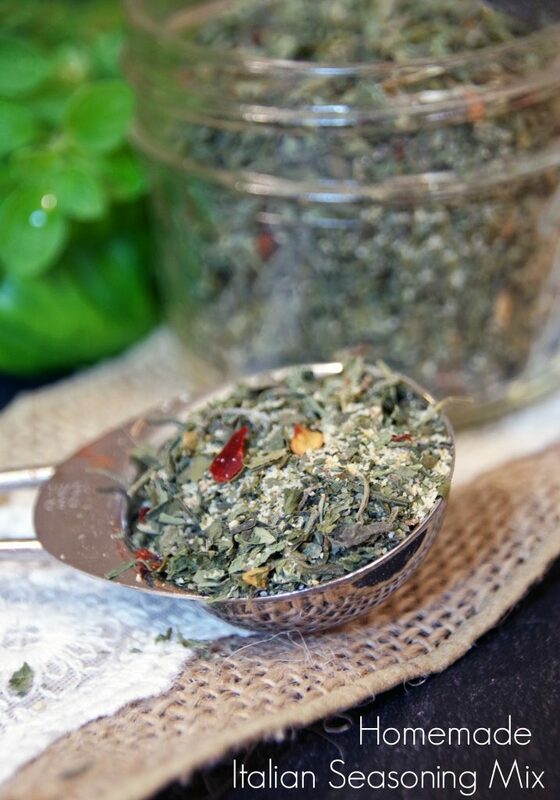 Starting from fresh herbs when making homemade italian seasoning mix will give it a much fresher flavor! 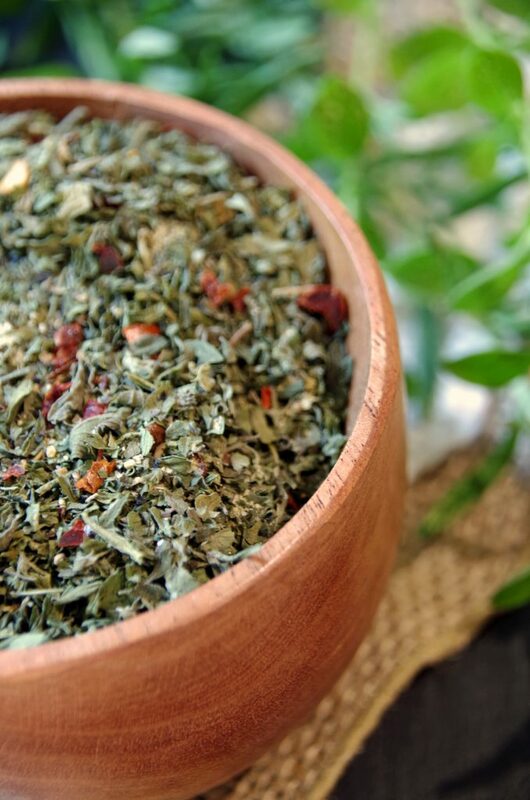 Most of the herb and spice blends on the market today are made with a simple collection of ingredients. Mixed in different combinations, I have tried my hand at making homemade cajun seasoning, an easy ranch dressing mix, and even a tasty nacho popcorn seasoning. Making a few pantry staples from scratch is a great way to save money. This Homemade Italian Seasoning recipe is simply a blend of a few key Italian spices with a few other simple ingredients. No need to run to the store in an emergency if you have an otherwise well-stocked pantry. 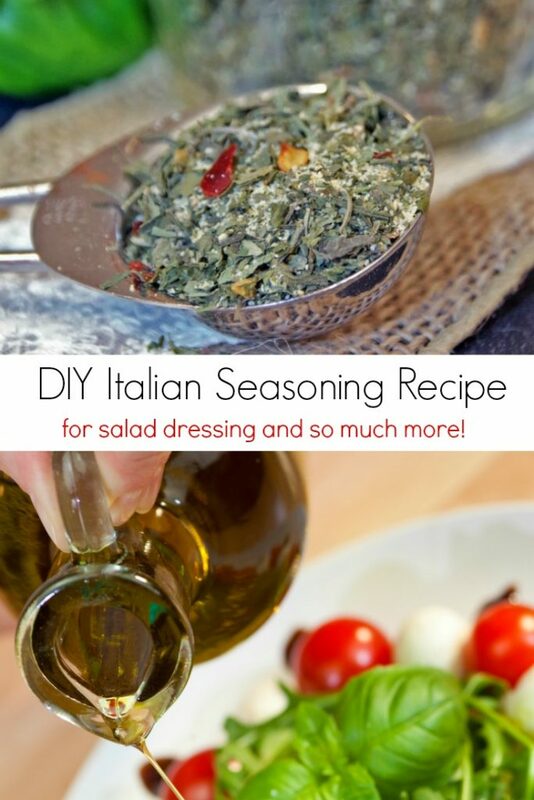 Make Italian seasoning from scratch and save yourself time and money! Since Italian recipes are a staple in my house, we will be going through this spice mix rather quickly. If you do make your own Italian seasoning from dried spices, check the expiration dates on the individual spices you use. The earliest expiration date that you find will be the expiration date you should put on your homemade Italian seasoning. It will only stay fresh as long as the oldest spice in your mix does. Check out Snapguide for more recipes using Italian Seasoning. Shake to mix and pour over your salad! Store in an airtight container and use as needed in recipes.